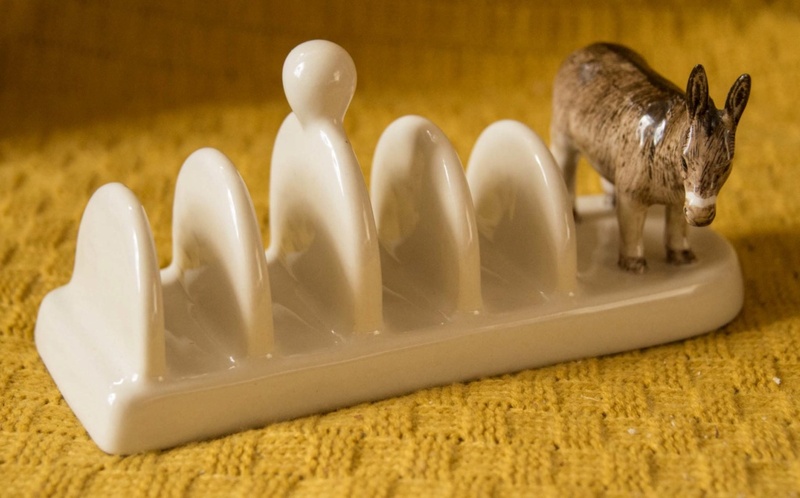 No mystery here: quite clearly this is a toast rack from the Quail Pottery (Tricia Zeitler). My curiosity is the possible rarity of this item. 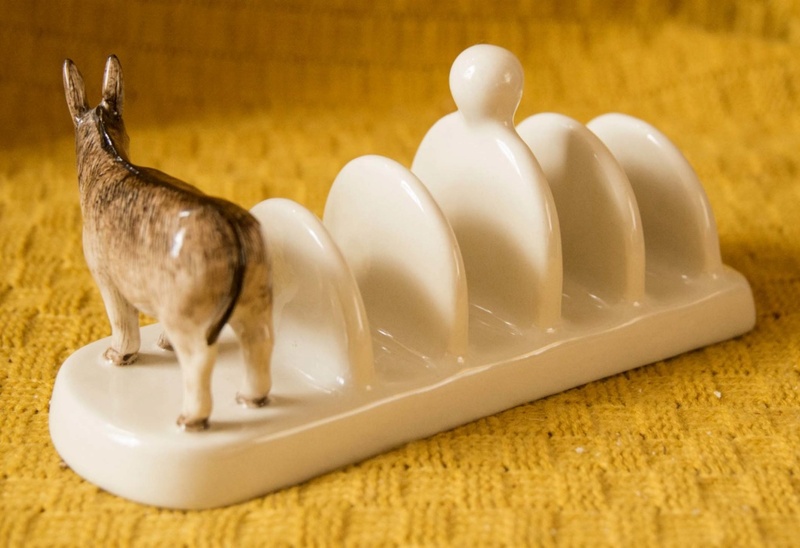 Clearly its not very old, but I simple cannot find another example of the Donkey Toast Rack! I can find Foxes, Owls, Kingfishers...even Puffins...but no Donkeys! I'm amazed theres no damage...you'd think the ears would be the first to go! Does anyone know whether this a scarce model? I wondered this Naomi. 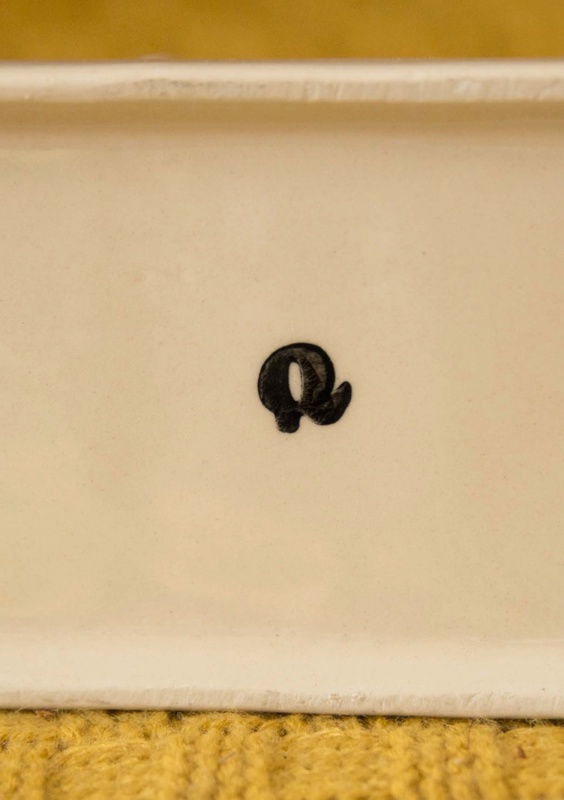 The Quailpottery.com website has very little content, so I assumed it had gone out of business. I haven't found any replacement sites!